Deliver is FREE for all orders of £65.00 or more. For all orders of £65.00 or less, a small delivery charge of £4.99 applied. This charge covers processing, packing, handling, insurance and all delivery cost. We deliver to U.K mainland Customers Only. Orders will be delivered with in 3-5 working days VIA tracked courier service. This is a service where our delivery driver will unpack, assemble and demonstrate your product. The driver will also remove all the packaging and take it for recycling (unless you wish to keep it). Please ensure that a valid contact number is provided so that our customer service team can contact you to arrange delivery. We will do our best to deliver to you with in a 2 hour delivery window. This is our most premium delivery service. 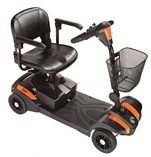 This service is only available on Mobility Scooter, Electric Wheelchair, Rise & Recline Chair and Arm Chair purchases. If you decide to use our Engineered Delivery, Please ensure you notify us if there is restricted access to your home. Please also ensure that pets are put away and the access is clear. Yes you can, see How do I pay? below, for an explanation on how you do this. Your order can be delivered to any location with in UK mainland except for PO Boxes. We can deliver to your home, you friends home or your place or work. Even if you have brought an item for a gift for a loved one we will even deliver the order to the recipient location. We use a tracked delivery service from Hermes, Royal Mail, and our own in house delivery service. We may also use alternative delivery services which are tracked and reputable. If you suffer with a long term illness or if you are disabled, then you do not have to pay VAT on certain products that we sell. You will notice that there are two prices in display, with VAT and with out VAT (or exemption) prior to completing your purchase you will be asked to confirm if you qualify for VAT exemption. After confirming you will notice that all eligible products will not be charged VAT. VAT is however chargeable on delivery and on products that do not qualify for VAT exemption. What does long-term illness or disabled mean? You or the person you are purchasing the goods for have an illness or condition that the medical profession treats as a chronic sickness,. For Example: Diabetes, Arthritis, etc. You do not qualify if you are elderly but otherwise able-bodied, or if you're only temporarily disabled or incapacitated. What is personal or domestic use? This means that the goods (products) are supplied for your own private use, rather than for business purposes. Also, the goods must be just for your own personal use and not for use by anyone else, or chronically sick or disabled people in general. If you and your partner or the person or persons you are purchasing the goods for are both chronically sick or disabled and the goods are for both to use, then you won't have to pay VAT. After you have clicked ‘Click here to checkout’ on the top right of the screen, you will be taken to your basket. If you are VAT exempt you will need to click the VAT box if you qualify for VAT Exemption, you can then select you preferred delivery options. Next, click to confirm your order, where you will be taken to a page that will show a summary of you order, if you have clicked that you are eligible for VAT exemption, you will see the price has reduced by 20% for all eligible items. Once complete all you need to do is click pay, and that’s it your done. For all online orders we accept all major Credit & Debit cards. We accept payment VIA cash in our showrooms, or cheque/postal orders for all telephone and postal orders. We do accept BACS payments for all large orders.